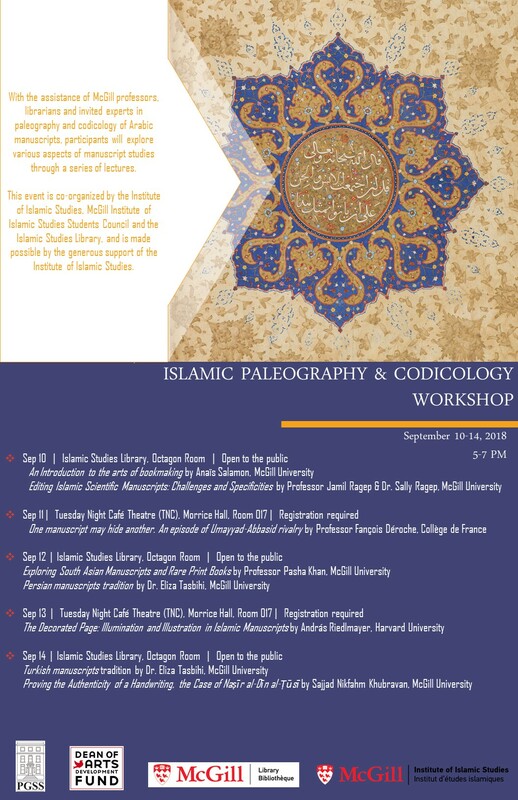 From Monday September 11th to Friday September 14th, the Islamic Studies Library had the pleasure to host an Islamic Paleography and Codicology workshop co-organized with the Institute of Islamic Studies, and the McGill Islamic Studies Students Council. 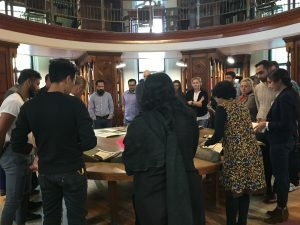 Participants had the opportunity to listen to inspiring and enlightening lectures, some of which involved the display and manipulation of manuscripts and rare books from the McGill Library and Archives collections. 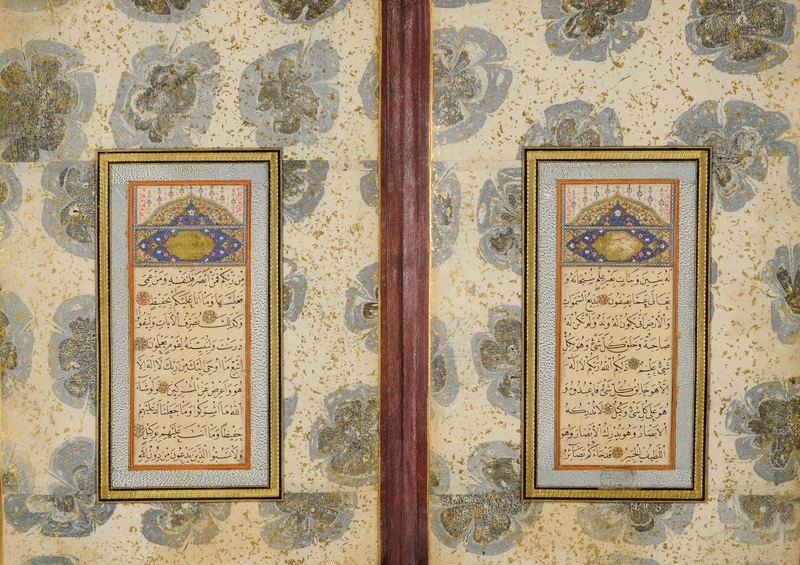 Guests lectures were delivered by internationally renowned scholars in the field: Professor François Déroche from Collège de France (Paris, France) and András Riedlmayer from the Aga Khan Program Fine Arts Library at Harvard University (Cambridge, MA). Professor Déroche’s presentation focused on a research he has been conducting on three mammoth Qur’ans from the Ommeyad and Abbasid periods. András Riedlmayer’s lecture focused on the arts of illuminating and illustrating manuscripts in the Islamic World, and concluded with a fascinating section on the fake illuminated manuscripts market. 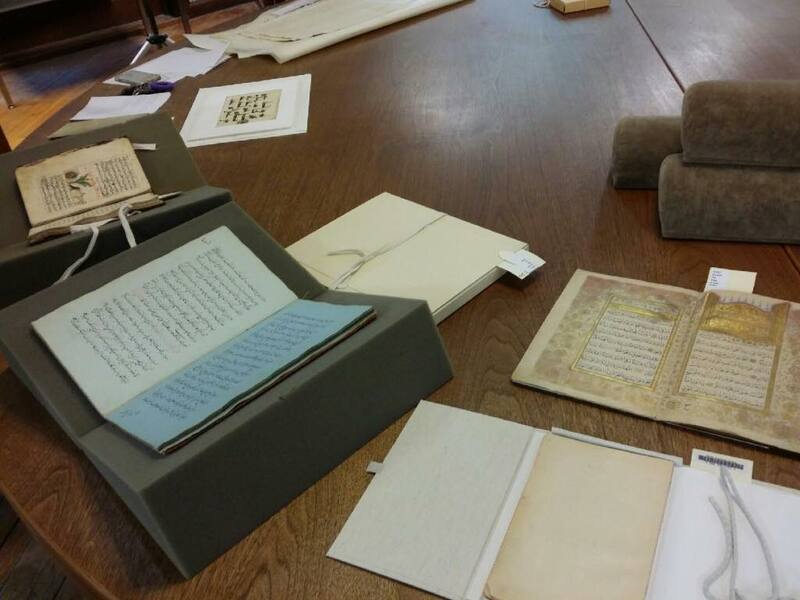 Other lectures covered various aspects of the production of manuscripts (such as writing supports, scripts, illuminations and illustrations, covers and bindings), as well as some challenges that arise when working with manuscripts (such as identification, location, attribution, etc.). And all sessions of the workshop were very well attended by members of both the McGill community and the wider community. 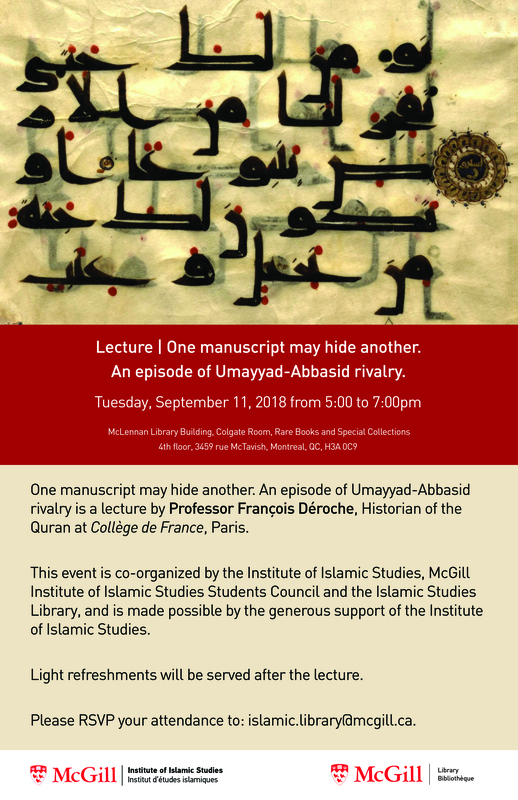 Special thanks go to the Institute of Islamic Studies, the Post-Graduate Students’ Society, McGill Libraries and Archives and the Dean of Arts Development Fund for supporting this event. 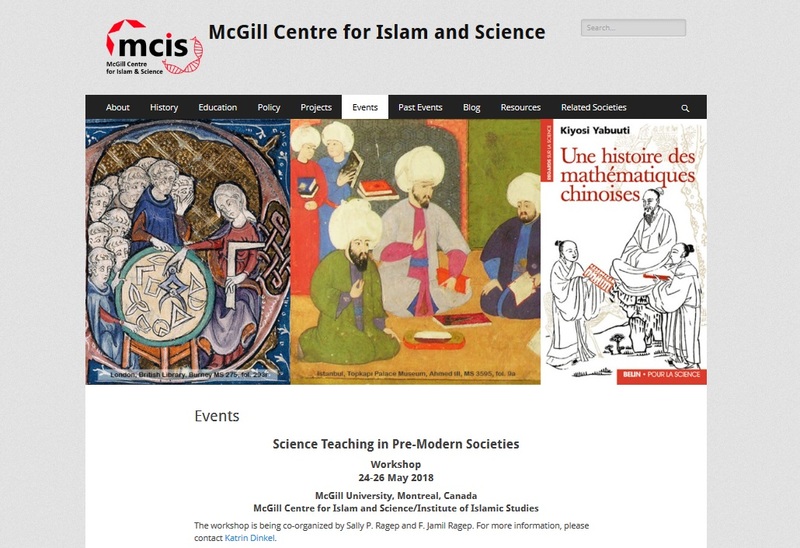 The McGill Centre of Islamic and Science and Institute of Islamic Studies co-organize a workshop entitled Science Teaching in Pre-Modern Societies from May 24 to 26 2018. This two-days event will bring together scholars from all over the World, including Canada, the United States, Turkey, Japan, Germany, Taiwan, etc. The four panels will focus on Science Teaching in cross-cultural perspective, Science Teaching and the religious context, Science Textbooks and the “Science of the Stars”, and Epistemological Foundations of Science teaching. The full program, abstracts, and speakers biographies can be found here. 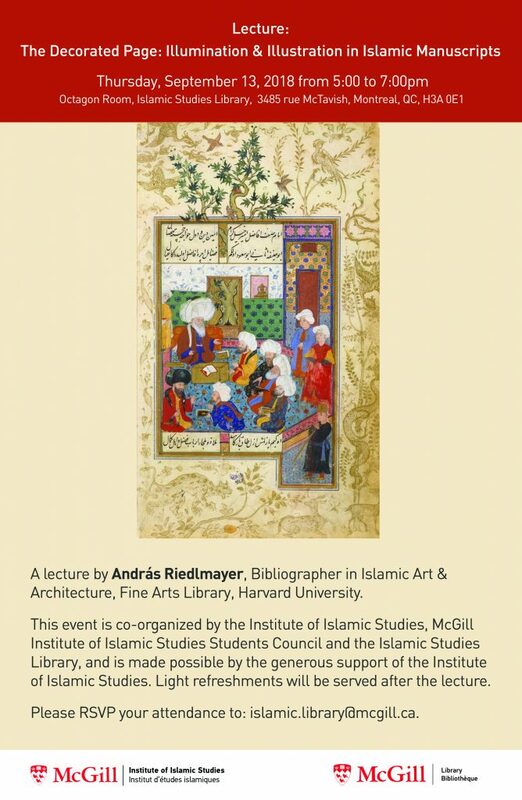 Join us as we launch our exhibition Treasures from the McGill Ottoman Manuscripts Collection Thursday September 7th from 5 to 7 p.m.
Dr Aslıhan Gürbüzel, professor of Ottoman history at the McGill Institute of Islamic Studies, will talk about Ottoman Book Art and the display. The talk will be followed by refreshments served in the Octagon room. Thursday September 7th, 5 p.m.
Dahlem International Network Research Group “Arabic Philology and Textual Practices in the Early Modern Period” will be holding an international conference in Berlin (Freie Universitat) from July 13 to 15 2017. Entitled “What was Philology in Arabic? Arabic-Islamic Textual Practices in the Early Modern World”, this conference will bring together scholars from Europe, North America and the Middle East. The full program, and practical information can be found on the Conference’s website. The Science & Islam project will be holding its second conference from July 4-9, 2017 at the Royal Institute for Inter-Faith Studies in Amman, Jordan. 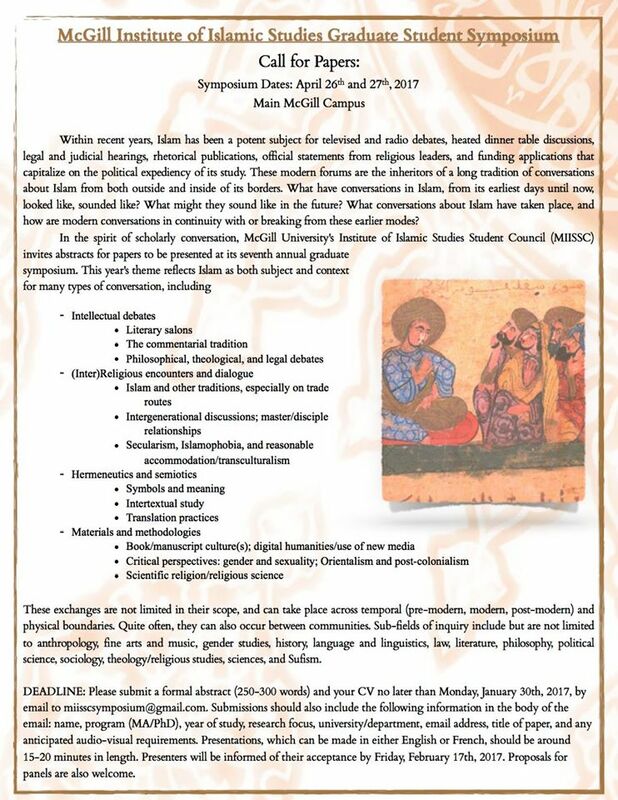 As indicated on the conference website, the “purpose of this conference is to provide a forum for philosophical and theological work by Muslim and Christian philosophy or theology graduate students and early career professors”. Note that “Submissions are restricted to Muslim graduate students and early career professors from any middle eastern country as well as from Morocco, Egypt, Algeria, Turkey, Pakistan and India”. 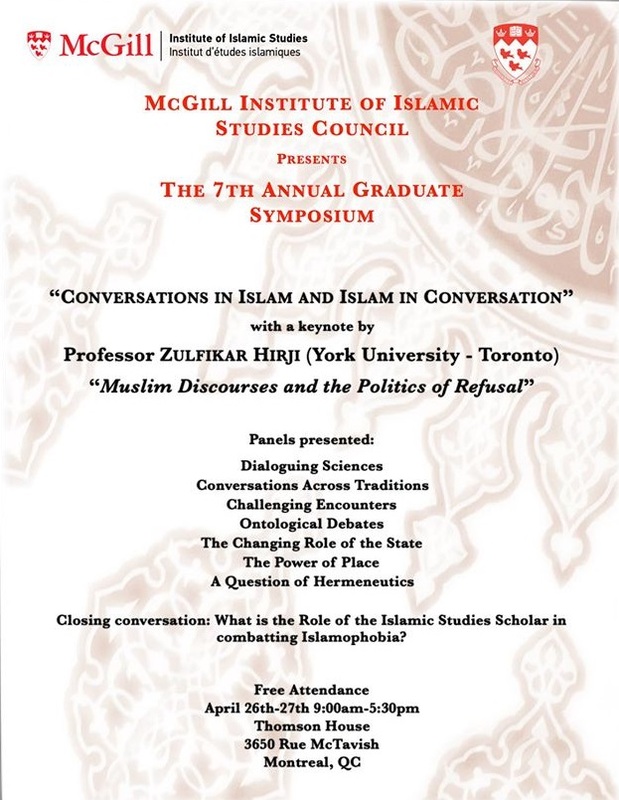 The McGill University Institute of Islamic Studies Student Council (MIISSC) will hold its 7th annual Graduate Symposium on April 26-27, 2017. Entitled Conversations in Islam and Islam in Conversation, it will feature a keynote address by Professor Zulfikar Hirji (York University, Toronto) about « Muslim Discourses and the Politics of Refusal ». – A Question of Hermeneutics. The symposium will end with an open conversation between attendees and presenters on the role of Islamic studies scholars in combating Islamophobia. When: Wednesday April 26th & Thursday April 27th, 2017 from 9 a.m. to 5:30 p.m.
La Bibliothèque d’Études Islamiques de McGill est heureuse de co-organiser un événement Un livre, tant de communautés (One Book, Many Communities) en français à la Bibliothèque des Lettres et Sciences Humaines (BLSH) de l’Université de Montréal le jeudi 13 avril 2017, à 17h00. Rejoignez-nous pour discuter la nouvelle Retour à Haifa écrite par Ghassan Kanafani publiée dans le recueil intitulé Retour à Haifa et autres nouvelles. La discussion sera animé par la professeure Dyala Hamzah, (Histoire du Moyen-Orient, Département d’histoire de l’Université de Montréal). La campagne de lecture Un livre, tant de communautés (One Book, Many Communities) a été initiée par Bibliothécaires et archivistes avec la Palestine (Librarians and Archivists with Palestine), un réseau de bibliothécaires, archivistes et professionnels de l’information solidaires avec la lutte des Palestiniens pour l’auto-détermination. The Islamic Studies Library is pleased to host the One Book, Many Communities event again this year. The novel to be discussed is a short volume entitled Returning to Haifa by Palestinian author, Ghassan Kanafani. The group discussion will be moderated by Professors Michelle Hartman (Arabic literature, Institute of Islamic Studies), and Laila Parsons (Middle East history, Department of History and Institute of Islamic Studies). The One Book, Many Communities annual reading campaign is an initiative of Librarians and Archivists with Palestine. 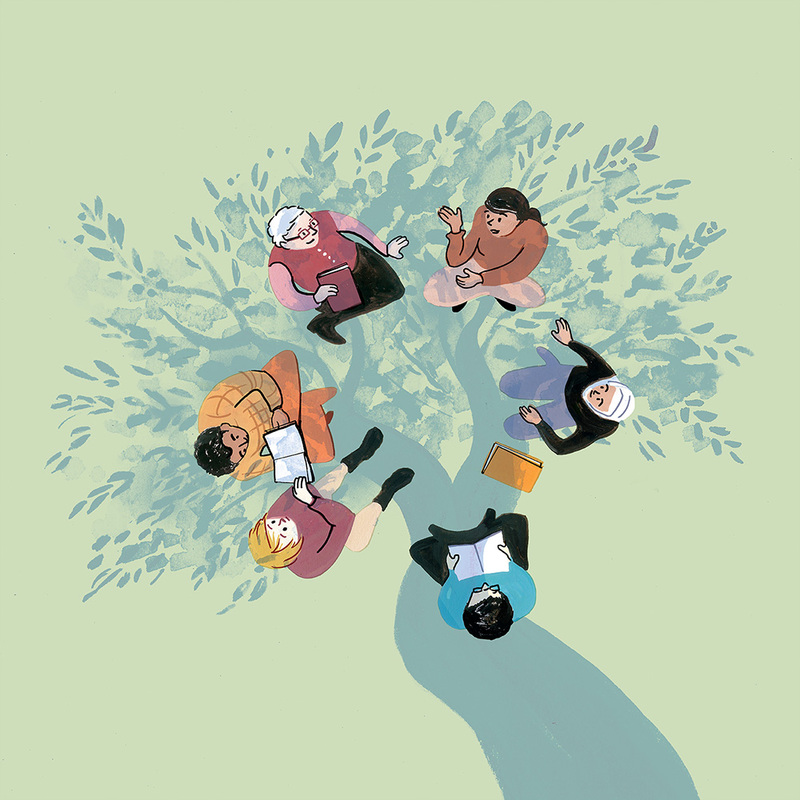 The project draws inspiration from the “one book, one town” idea, wherein people in local communities come together to read and discuss a common book. Librarians and Archivists with Palestine is a network of self-defined librarians, archivists, and information workers in solidarity with the Palestinian struggle for self-determination. The space is wheelchair accessible via the campus door entrance. Accessible washrooms located in the basement. 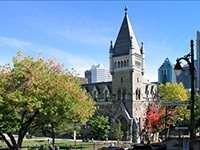 The 2016 McGill Institute of Islamic Studies Student Council Graduate Student Symposium will be held on April 28th and 29th in the Post-Graduate Students’ Society’s Thomson House of McGill University, located 3650 McTavish Street, Montreal, QC H3A 1Y2. The preliminary program and information on keynote speaker can be found on the MISSCC Symposium website.